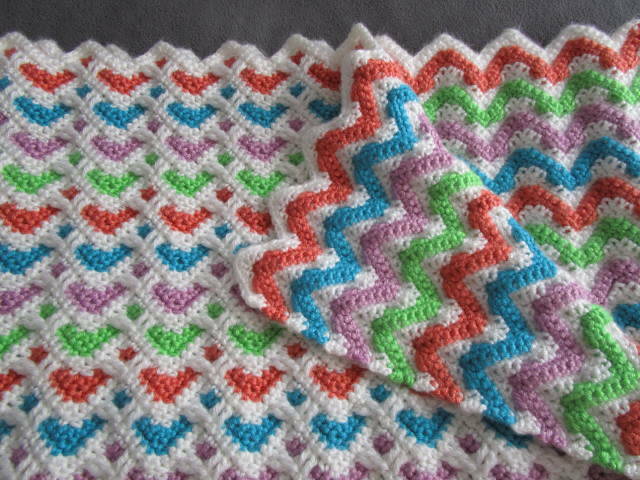 I’ve worked on this Hearts ZigZag stitch baby blanket for the last three weeks or so. I love the end result, and now that I’ve finally finished it, I’ll know better what to do in the future if I should ever decide to make this again – give myself plenty of time (considering this stitch is made up mainly of single crochets) and to go up at least one hook size to save my poor arthritic thumbs! 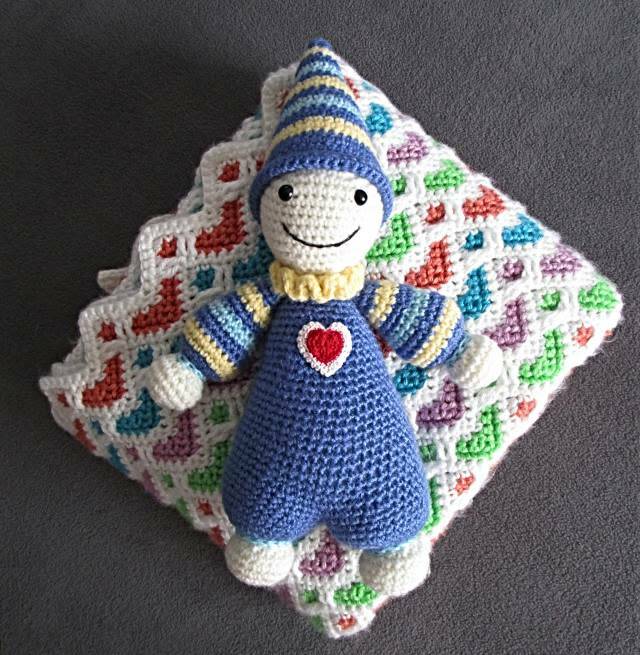 I also included one of the Cuddly-Baby amigurumi dolls by Lilleliis that I made a while back. 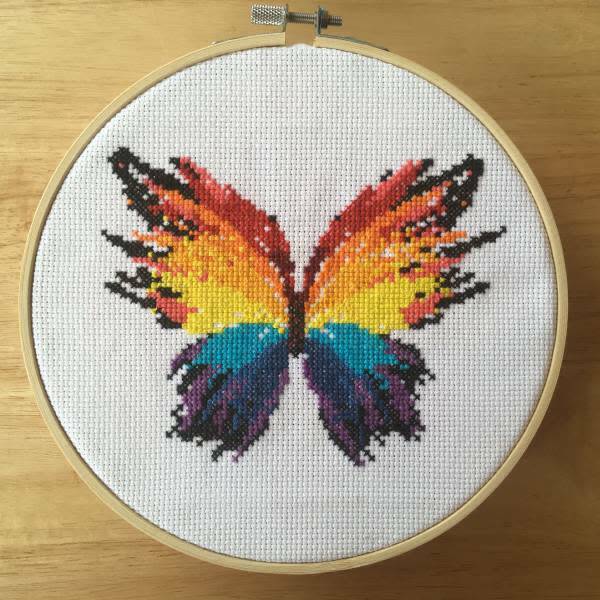 I have already started the butterfly, and even though I haven’t done any counted cross stitch in a long time, it seems like it’s going ok. The colors are beautiful and vibrant, and I really can’t wait to finish. Best of all, my thumbs aren’t complaining!